The power connection system InScenio FM Master WLAN from Oase is innovative and features high quality, ease of use and functionality. 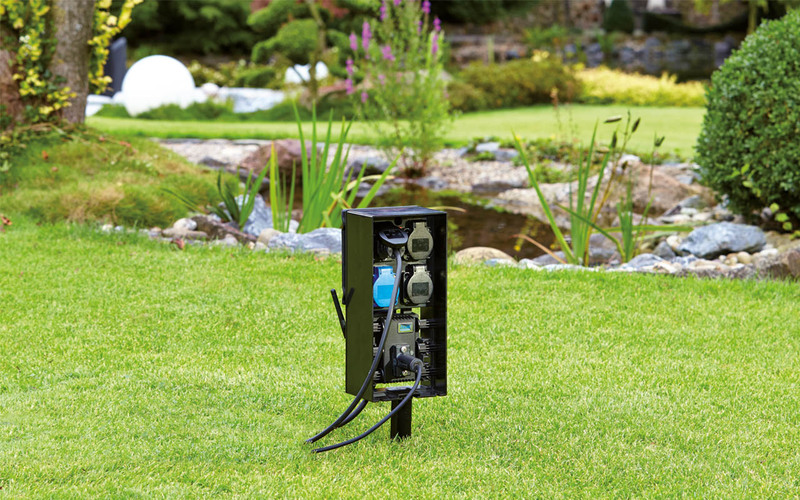 It is a power connection system, which can be controlled via W-LAN with four sockets and a DMX-RDM connection for a bi-directional bus communication in the garden. One socket is dimmable; up to ten additional OASE devices can be controlled via radio (433 MHz), thus replacing the standard remote controls. The control of the devices is easy, it simply works with a cost-free app or via smart phone or tablet. With one touch of the finger all devices can be easily and comfortably controlled and monitored. The design of the app is intuitive, the control fast to understand. The app is available for iOS and Android. Thus, the user can very comfortable control all devices, e.g. from the terrace using only one device. More remote controls are redundant.